Maria Santos is visibly nervous. She uses a well-worn handkerchief to dab at beads of sweat which have formed on her brow under the oppressive noonday sun in the sweltering heat that is downtown Manila. The octogenarian has been receiving payments regularly from her daughter Esther who works as a domestic helper in Singapore the same way for close to two decades and the money has always arrived the same way – through a string of intermediaries which with fees costing anywhere between 7 and 10 percent of the money which Esther sends across to Maria. For every $200 that Esther sends home, as much as $20 will be gone by the time it reaches her mother in Manilla. While $20 is the cost of bus fare and a meal in Singapore, in Manila it could buy food for a week. Over her lifetime, Esther has paid thousands of dollars to intermediaries such as Western Union to send money home. But today is different, which is why Maria is nervous. Enter Abra and companies like it. Abra is a decentralized smartphone application which leverages the blockchain to facilitate money transfers. Esther and her mother both downloaded the Abra app to their Android smart phones. Esther’s balance to start was in dollars. At the tap of a button, Esther converted the dollars to Bitcoins and initiated the transfer to Maria who got it in Bitcoins, almost instantly. At this point, Maria had the choice of keeping Bitcoins as a store of value on her phone or converting the Bitcoin to pesos. By creating a payment mechanism and store of value, Abra effectively displaces the conventional banking system’s two must lucrative roles – payments and value storage. But Maria’s story doesn’t end there – she wants cash. Maria pays her rent, buys her food and ironically, tops up her prepaid mobile SIM card using cash. She checks the Abra app and notices there are four other Abra users within a four-block radius of her. She messages them all to see who will exchange her pesos (which have since been converted from Bitcoin by Abra) for their services. One person will do it for 3 percent, another for 2 percent, and two more for 1.5 percent. Maria decides to go with the one offering 2 percent, not because it’s the cheapest (it’s not) but because the exchanger had a 5-star rating and agreed to meet her halfway. They meet and she swaps her Abra pesos for physical pesos and both walk away happy. Abra takes 0.25 percent on conversion and the whole process costs Maria well under 3 percent. “I get it now! That’s really cool!” says Maria, ecstatically. 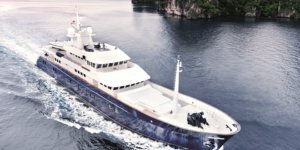 The entire process, from the money leaving Singapore to Maria in the Philippines takes less than an hour and depending on who Maria chooses to do the swap from Bitcoin to pesos, will cost her well under 3 percent, or less than half of the lowest amount she would have paid through a traditional money transfer. Whereas every Western Union transaction requires up to seven or eight intermediaries, corresponding banks, local banks, Western Union, the individual agents, the Abra transaction required only three – two peers and the Abra platform. But that’s not even considering the amount of time that has been saved by both Maria and Esther. 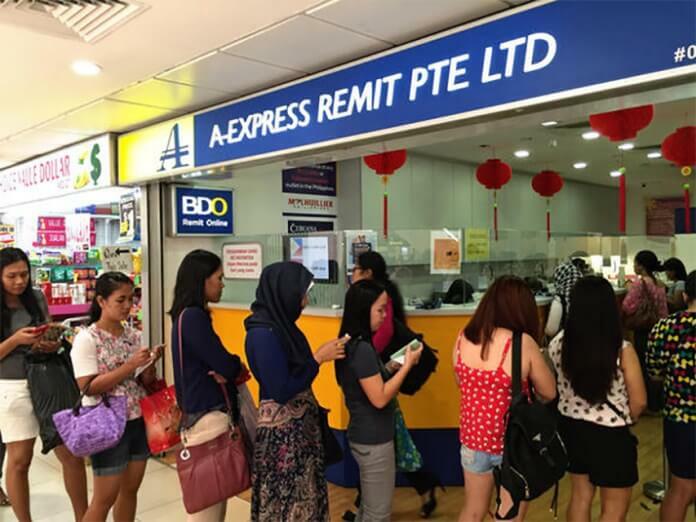 Whereas Esther can expect to wait up to two hours in line at Singapore’s Lucky Plaza, home to dozens of money transfer agents, Maria in Manila would have had to line up to receive the money as well. With the number of migrant workers across Asia, the savings of time and money from utilizing the blockchain to facilitate the transfer of value is very real. According to KPMG, in 2016, only 27 percent of Southeast Asia’s population had a bank account. That’s some 438 million unbanked people. 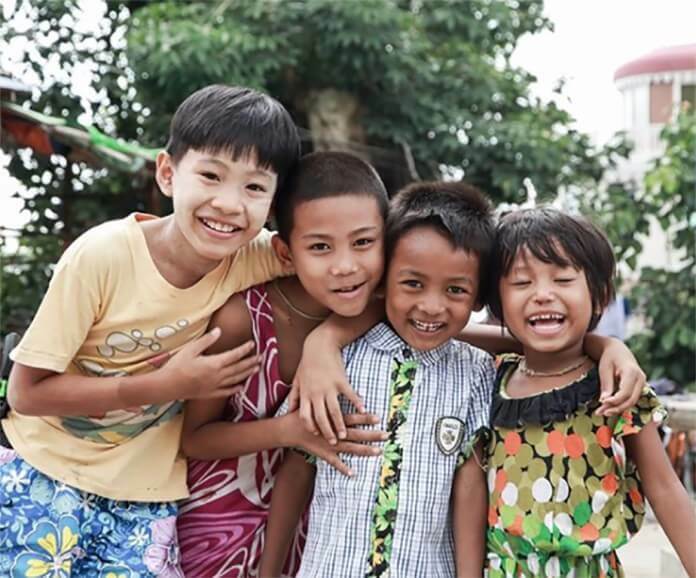 In countries like Cambodia, the number of unbanked people soars to 95 percent. Which is why the blockchain revolution is so critical to Southeast Asia and its estimated 20.2 million migrant workers. Southeast Asia is one of the most linguistically, culturally and racially diverse regions in the world, making it an excellent proving ground for cryptocurrencies. With a population of over 640 million people and a GDP of US$2.56 trillion, Southeast Asia represents a rare opportunity for the cryptocurrency revolution as a means of value transfer. Strategically located with China to the East and Europe and India to the West, Southeast Asia straddles some of the oldest and most lucrative trading routes. But Southeast Asia is also a diverse region, with no less than 11 sovereign countries, 800 native languages and over 22 different ethnic groups. Despite that level of diversity, the nations of Southeast Asia have generally lived in peace with one another, with conflicts limited to minor border skirmishes and territorial disputes. That peace has ensured robust economic growth with the Asian Development Bank expecting Southeast Asia to grow 5.0 percent in 2017 and 5.1 percent in 2018. As the people of Southeast Asia become richer, they are also expected to trade more with each other, but Southeast Asia has no less than 11 different currencies, with less developed regions using the U.S. dollar as their primary currency, making cross-border trade particularly challenging given foreign exchange fees. Which is why many cross-border transactions are denominated in U.S. dollars. Yet for a region as large as Southeast Asia, with a population almost double the United States, to base its cross-border trade on the vagaries of the U.S. Federal Reserve is risky at best and a surrender of sovereignty at worst. Southeast Asia represents a tremendous opportunity for crypto advocates and enthusiasts to subscribe to a medium for value exchange that is independent of any foreign sovereign entity. With the region’s internet economy at an estimated US$50 billion at the end of 2017, more than half of Southeast Asians are monthly active internet users, leaving tremendous potential for growth, but providing the foundation for significant adoption of both cryptocurrency usage and cryptoasset trading. Southeast Asia has the opportunity to bypass the internet banking revolution and go straight to mobile value transfer the same way Africa avoided costly copper telephone lines and went straight to mobile. Apps like Abra are well-positioned to harness that growth in mobile internet usage and the favorable regulatory climate adopted by global financial centers such as Singapore towards cryptocurrencies ensures that the seeds of the crypto revolution will continue to grow. The Singapore skyline. Singapore serves as Southeast Asia’s legal and financial center. 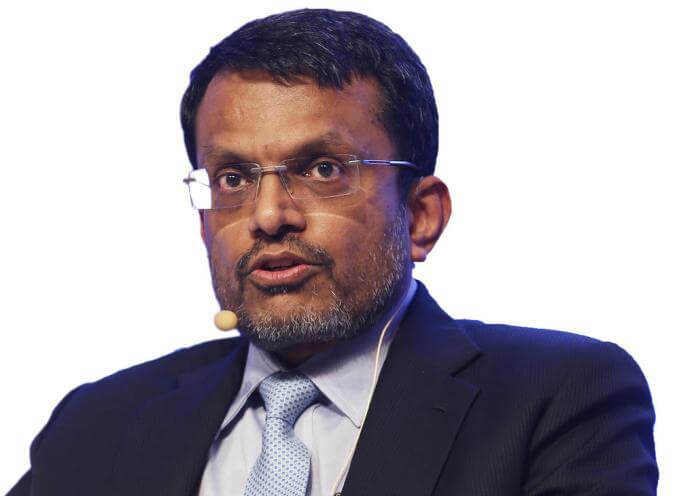 The pronouncement from the head of the central bank of Singapore is significant and demonstrates the enlightened and practical approach taken by one of the world’s leading financial centers. 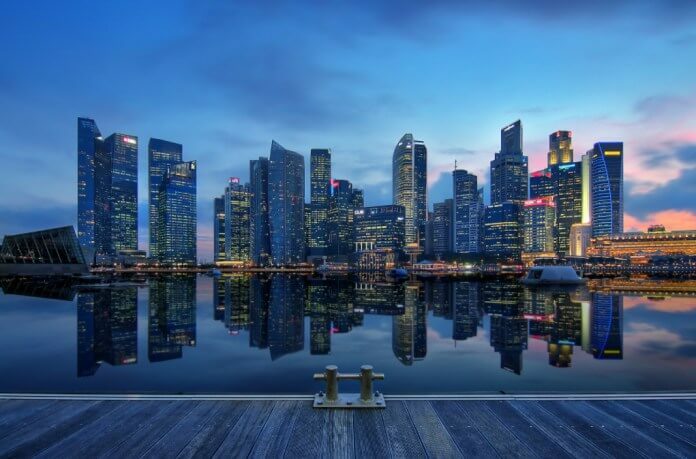 Singapore has long served as the region’s leader in the areas finance and technology and it’s clear from the pronouncements by the MAS chief that it intends to lead the way in the realm of fintech and crytpocurrencies as well. But it’s not all free-wheeling unbridled crypto-capitalism in Singapore. 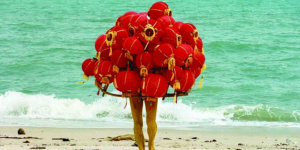 On November 14 last year, the MAS issued a statement stating that tokens sold through the blockchain funding model, otherwise known as Initial Coin Offerings or ICOs, may be considered securities under certain circumstances, citing Singapore’s Securities and Futures Act (SFA) as well as the Financial Advisers Act. The guidelines also shore up earlier statements from the MAS. In August last year, officials stated that some token sales would be subject to securities laws on the basis that the cryptographic data sold would constitute kinds of debentures or stakes in collective investment schemes. The clarity provided by the MAS is timely and helps to provide certainty to a vibrant and growing crypto-sphere in the region. By making clear, unambiguous statements about the sort of activities that will come under the ambit of other laws and stating with clarity the examples that will not come under the purview of securities laws, MAS is ensuring just that level of legislation that will enhance growth in the space without stifling creativity. 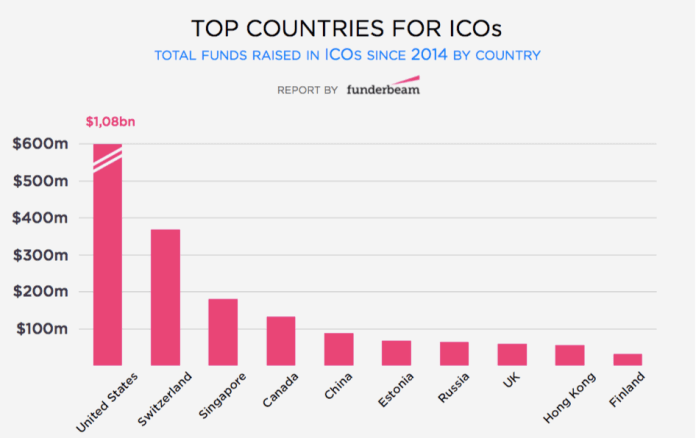 A study by Funderbeam indicates that ICO funding started gaining traction in 2016 and exploded in 2017, where the funding increased from US$228 million to US$2.6 billion. In 2017, North America and Asia, when compared to Europe, have rounds almost twice as large, with average ICO rounds in North America valued at US$31.5 million, Asia averaging US$30.7 million and Europe averaging US$16.7 million. Singapore also protects less-sophisticated investors from the vagaries that are so closely associated with the crypto markets. For instance, ordinary investors are limited to transactions of S$3,000 a month through Xfers accounts, the only way to transfer money to Coinbase or CoinHako to purchase crypto currencies using a Singapore bank account. Whilst there are no regulations per se limiting these platforms to such numbers, one wonders why these profit-making behemoths would limit the transaction values of would-be cryptocurrency purchasers without some external pressure. Overall, the Singapore approach is enlightened and serves as an example for the rest of Southeast Asia to follow. But with clear and well-defined laws, a stable government and an excellent judiciary, Singapore serves the role of clearing house for ICOs from all across Southeast Asia, adding to its already heady GDP growth. Cryptocurrencies to Rule Them All? Given the specific geo-political and demographic conditions of Southeast Asia, cryptocurrencies and cryptoassets have the potential to lift the region from economic potential to economic powerhouse. One of the biggest aspirations of the Association of Southeast Asian Nations (ASEAN), a regional grouping of nations which includes, Indonesia, Malaysia, Philippines, Singapore, Thailand, Brunei, Vietnam, Laos, Myanmar and Cambodia has been a common currency, similar to the likes of the Euro. But the experience of the Euro, the fallout for Greece and the sheer diversity in terms of stage of development of the individual Southeast Asian economies means that a common currency remains a pipe dream. Enter cryptocurrencies. Owned by everyone but controlled by no one, technically, cryptocurrencies can plug the gap to draw ASEAN closer together both politically and economically. The time is ripe for cryptocurrencies and the time is ripe for ASEAN to embrace them. Keep calm and crypto.